Printed Wallpaper is available for storefronts, offices, other commercial settings, or even your home! 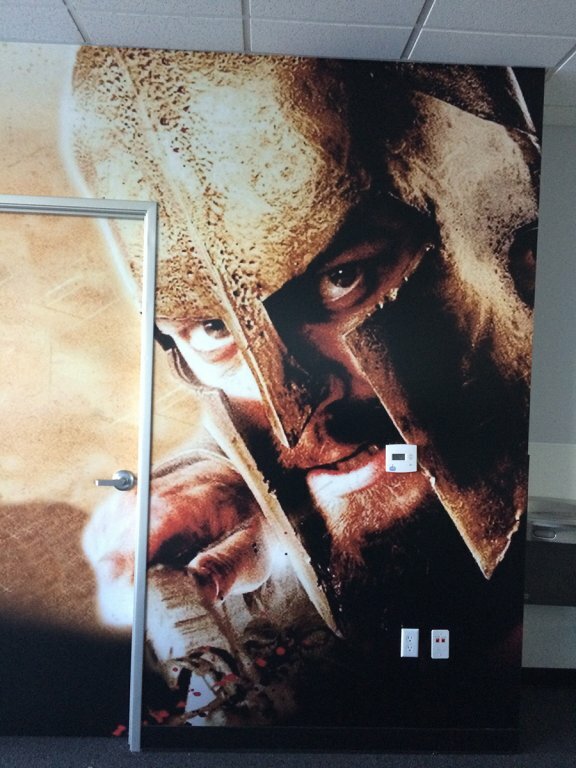 Printed wallpaper is printed on commercial weight vinyl with cured ink, which just means that your ink will last a lot longer and be more durable that imagined! 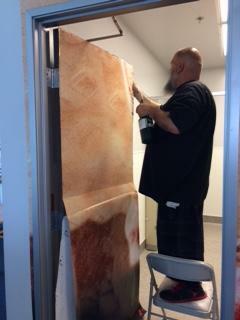 We print your wallpaper on our state of the art HP3 Latex 360 Printer. YES! Even within the printed wallpaper category, you have choices. Finishes. The usual options are matte and satin. A matte display is best when the display receives light from ambient or artificial sources. A satin finish is more favorable when there is no direct light, only because of the “shimmer” texture that produces a glossier finished product. Of course, the satin finish adds that wow factor to any printed wallpaper, making bright colors pop. Texturing. You can choose a standard vinyl wall covering finish which is smooth to the touch. Much like an oil based paint, the finish is easy to clean and would be perfect for high-traffic areas where people may touch. Depending on your setting, you may like the addition of a canvas texture that gives your wallpaper an artwork-like quality. There are so many places and ways that you can use printed wallpaper. Imagine you run a daycare for young children… Now imagine you are a potential parent who is looking for care for their most precious possession? Would you rather walk into a sterile environment or into a place where there were colorful, inviting images on every wall? Of course, the choice is clear… Any parent would be comforted and feel invited into an establishment that made their children feel right at home. Imagine, for years you have cooked Mr. Browne his favorite lasagna. The one he’s bragged about for years, saying “My wife should open a restaurant and put THIS on the menu.” Finally, you open an “authentic Italian restaurant”, but when you walk in, it feels like any other establishment? 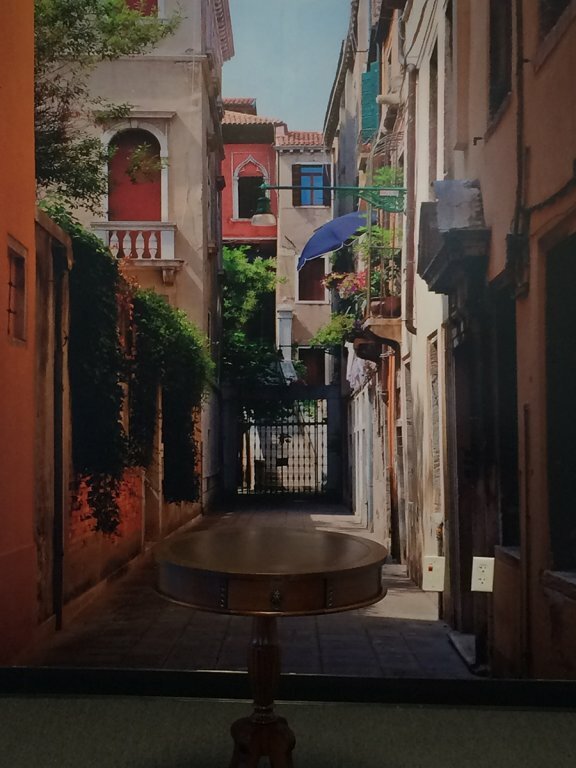 Call us at Precision Sign and Graphics and we can create printed wallpaper mimicking the feel of a quaint small town bistro in Italy. You need to set the ambience, draw people in and make them want to stay! 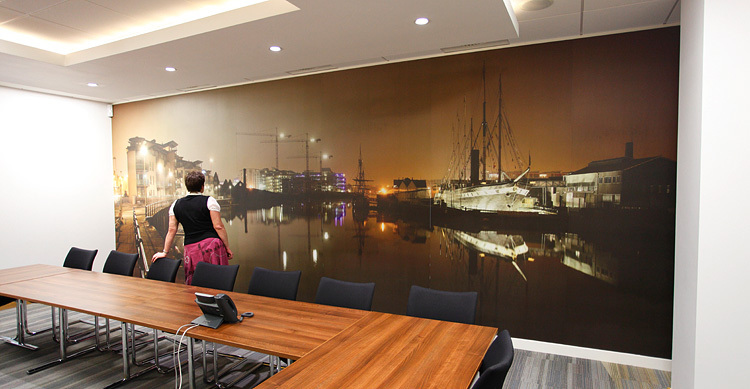 If you are the President of an office, whether you run a corporate business or a smaller family owned business, we can create printed wallpaper to match YOUR needs! You want your customers and clients to feel invited into your space, know who you are. That is EXACTLY what printed wallpaper can do for you! What if you just bought or built the home of your dreams? Shouldn’t the interior of your home match that of your dreams as well? Doesn’t your little boy or girl deserve the Princess or Pokeman room of their dreams? Use printed wallpaper in a small bathroom to make it feel more spacious, or in an entry way for that first impression your guests will never forget. Whether your needs are that of modifying the atmosphere of a specific location, to brand or rebrand your business, or cheer up a dull space, we here at Precision Sign and Graphics can help! Contact us today to get started! You can have high resolution images for us to begin with, or one of our graphic artists will be happy to have a personal, free consultation to discuss what you have in mind. If you are still not sure, come into our shop located in Riverside CA for a first hand look at the dynamic printed wallpaper we display! We look forward to meeting you.